Ken was with a manufacturers’ representative firm in Minneapolis for 5-1/2 years where he was in process equipment sales. 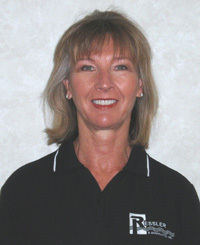 Ken moved to St. Louis in 1981, and became a partner in Pohlkotte Ressler Corporation. 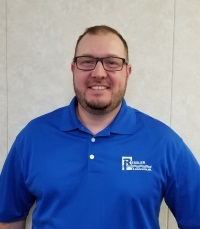 In May of 1991, Ken purchased the company and the name was changed to Ressler & Associates, Inc. Ken’s expertise is in sales of municipal and industrial water/wastewater treatment equipment, and working with engineers. 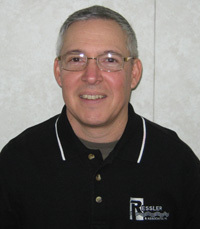 Jim is vice-president and co-owner of Ressler & Associates. 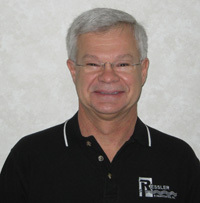 A native St. Louisian, Jim has over 30 years experience in the industry, most with Ressler & Associates. He holds a certification for operation of both water and wastewater treatment facilities. Jim's responsibilities include providing support to design engineers and calling on treatment plants. His hobbies include golf with his wife Renee, collecting curios (junk) and hunting. Brad is a native of St. Louis and graduated from Missouri University of Science & Technology with a degree in Mechanical Engineering in 2012. He has extensive experience in the design and construction of industrial process systems, and brings a wealth of practical knowledge with him. Brad will be promoting our manufacturer’s products to engineers, water and wastewater treatment facilities, and local industries. 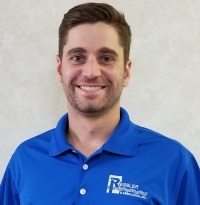 Jimmy joined Ressler & Associates in March of 2018 as an Aftermarket Sales/Product Support Specialist. He has over 20 years of operations and maintenance experience in the water and wastewater treatment industry and holds active operator certification in Missouri. Jimmy is married and has two children. He spends most of his spare time running his kids to their many sporting events. He is an elected member of his local school board and is a board member at Missouri Kids Unplugged – a non-profit organization that gives kids opportunities to get off their electronics and get outdoors at no cost. 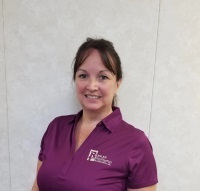 Corky manages all administrative responsibilities for the company including, accounts payable, travel arrangements, exhibit and show schedules, advertising, and spare part sales (including sand and gravel). Corky also handles scopes of supply and take-offs for bid projects. Corky has been with us since 1988. Sue heads up our Customer Service Department. She also handles accounts receivable, order entry, project tracking, submittal processing, delivery coordination and record archiving. Sue started with us in 2013. 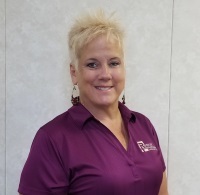 Vickie works part time taking care of our literature and helps with other office support needs. She helps keep our office organized.